The average business’ software spend has been on the rise for years now, with small and medium businesses spending a higher percentage of revenue on software than enterprises. The average midsized company spends $13,100 per employee on IT. With some smart alternatives (and not relying on the same vendors as always), companies can cut this cost massively. In fact, in a 2017 post about the minimum viable software stack for a 10 person startup, I calculated an option that cost just $260/user/year. At the heart of every business toolkit is an office suite. Documents, spreadsheets and presentations are everyday necessities, so you’d better make sure you have the right tools to handle this in your business. Don’t worry, there are many great options for free. Collecting Google Docs, Slides, Sheets, and a number of key business tools like email and cloud storage, G Suite is the most comprehensive cloud-based office toolkit on the internet. Nothing beats it on features, and the suite’s success has spawned a huge amount of addons and support documentation. 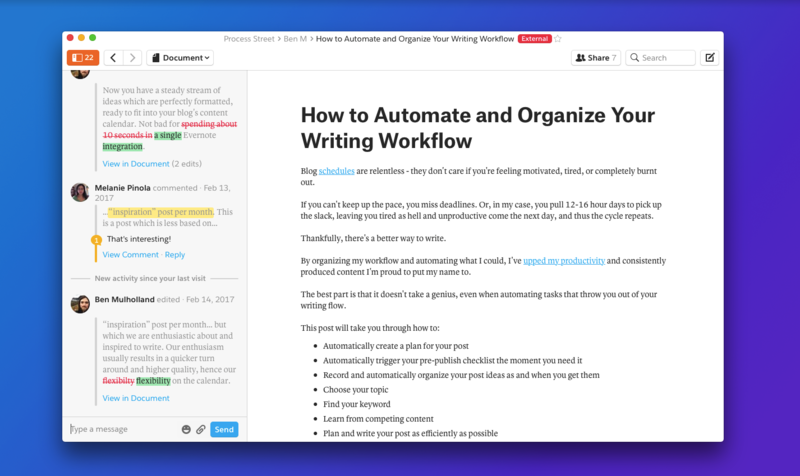 Quip is a free team document management tool with a beautiful distraction-free, markdown-supported writing environment. As well as document files, Quip allows users to open and edit Excel files and CSVs, so any content teams that work with keywords or data will get use out of that, too. With comments, members, and a prominent activity feed keeping all members in the loop, Quip is great for content teams, technical documentation writers, and writing teams of any size. The free plan is quite generous. Unlike the other office solutions in this list, LibreOffice isn’t cloud-based. It’s locally installed software, like Microsoft Office. Unlike Microsoft Office, it’s free and open source. It includes a word processor, spreadsheets, presentation tool, database tool, a formula editor, and a whole host of free extensions. 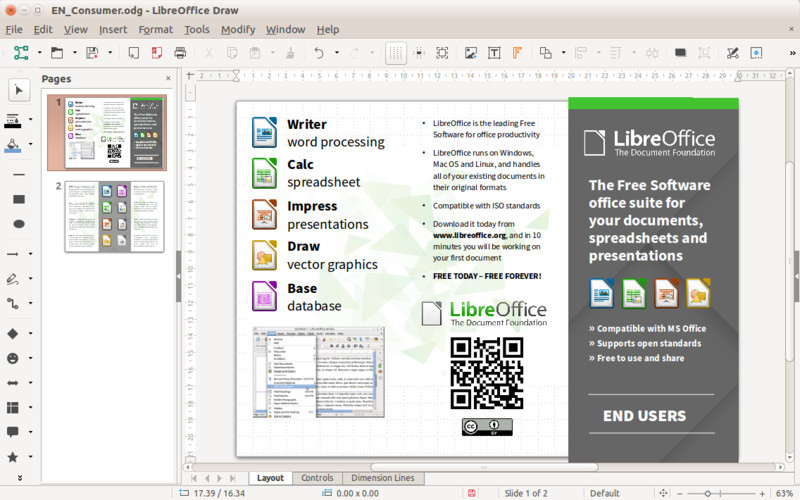 Many organizations prefer the culture and transparency of open source software, but all small businesses will appreciate that LibreOffice is free. It’s not a good choice if you’re doing a lot of work in the cloud, but for solo document creation, it’s just as good as Microsoft’s offering. 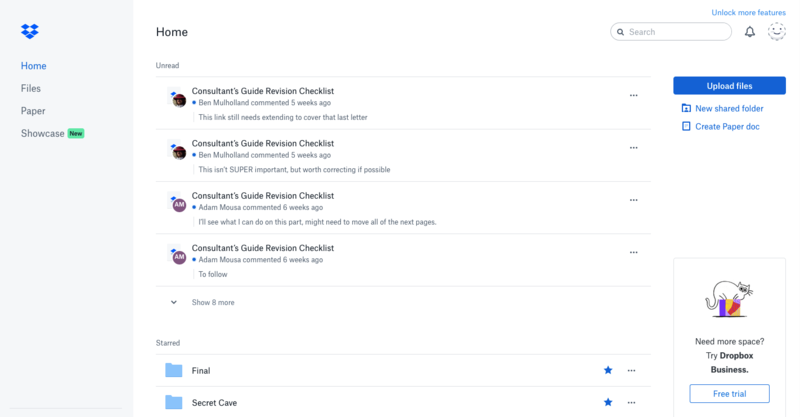 Dropbox Paper is a simple Medium-like platform for creating and managing collaborative documents. Combined with Dropbox cloud storage, you can manage and collaboratively edit version-controlled documents. Its simplicity, design, and better support for code blocks and rich media than Google Docs. Creating workflow diagrams, automations, and watertight business systems is possible without spending a dollar. With these three free workflow tools, there’s no excuse for not systemizing your business this year. Process Street makes it easy for teams to create, track and optimize systems by using recurring checklists. Systemize employee onboarding, blog post production, graphic design approval, and more. Process Street lets you document and track your business processes, and manage your personal tasks in one place. It also has a Zapier integration which links it to 1,000 apps including popular CRMs, document creation tools, and HR software. Use Zapier to connect over 1,000 apps (like Evernote, Gmail, Microsoft Word, and Google Drive) with simple rules that make it possible to automate practically any workflow. Read our full guide to setting up custom workflows with Zapier here. Zapier’s alternatives — apart from IFTTT, which is more for consumer software — haven’t been around as long, so can’t boast the sheer number of app connections that Zapier can. Need a visual representation of your processes? Draw.io is a free tool for creating and collaborating over flow chart maps. It supports BPMN, which is the globally recognized standard for business process notation. Draw.io is simple, but it is a handy tool for quickly visualizing your business processes so you can distribute and optimize them. Inbox is Google’s material design version of Gmail which aims to make managing our ever-increasing pile of emails easier. Users can bundle promotional, social, and low priority emails into one easy-to-archive package and hit inbox zero faster by using Inbox’s smart bundling. Inbox makes processing email on your phone super fast. However, the UI can be slower and more limiting than Gmail on desktop. Email is a fantastic invention, but it is missing a few key features out of the box. For example: the ability to send emails later, if you don’t get a response. And notifications on which emails are awaiting your reply. Boomerang helps emails flow in and out of your inbox more easily, preventing the dreaded buildup of drafts, unreads and messages you’re “just saving for later” instead of archiving them. Boomerang doesn’t just enhance Gmail, it adds missing features. 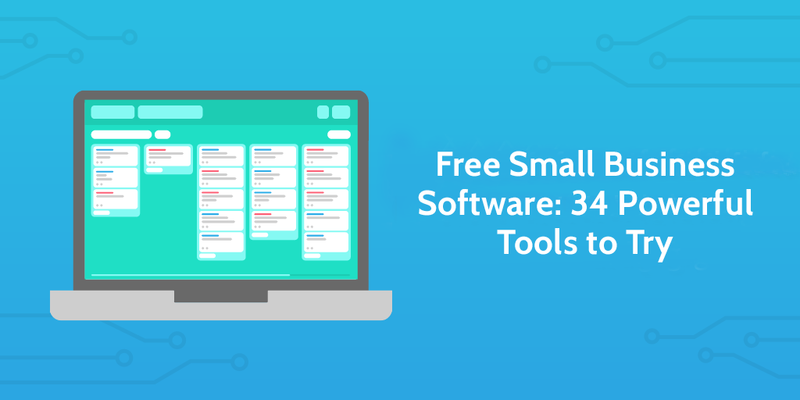 With its free suite of tools and the way it’s baked into your existing workflow, there are few competitive free alternatives. 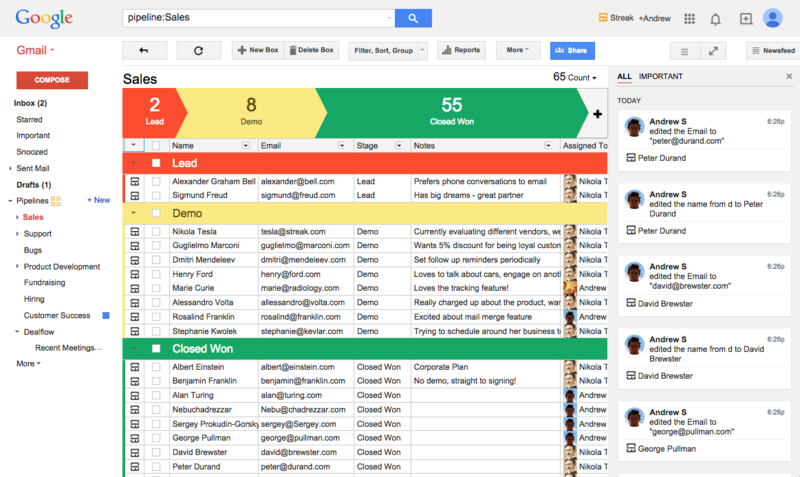 Streak is a CRM that lives inside your inbox. If you’re a marketer managing multiple conversations on guest post pitches, you can use Streak’s CRM functionality to get a visualization of conversation status so you know what to follow up on, and what to leave. Streak is halfway between a personal email management tool and a fully-fledged CRM — if you don’t have the budget to invest in a CRM, get started with Streak first. Here’s a disarming stat: only 2.5% of companies finish every project they start. A Gartner report reveals that only 5% of companies use just one project management tool. This indicates a need for an “all-in-one” solution that helps employees reduce the amount of time they spend switching between apps. Here are three great solutions to get you started. Trello gives teams a visual way to collaborate over tasks, projects, approval flows, or the next big idea. It is based on one of the most efficient methodologies ever conceived — Lean. Lean and kanban (lean’s visual project management system) was used by Toyota manufacturers to manage projects as early as the 1960s. Trello is totally free for as many cards, lists and comments as you like. 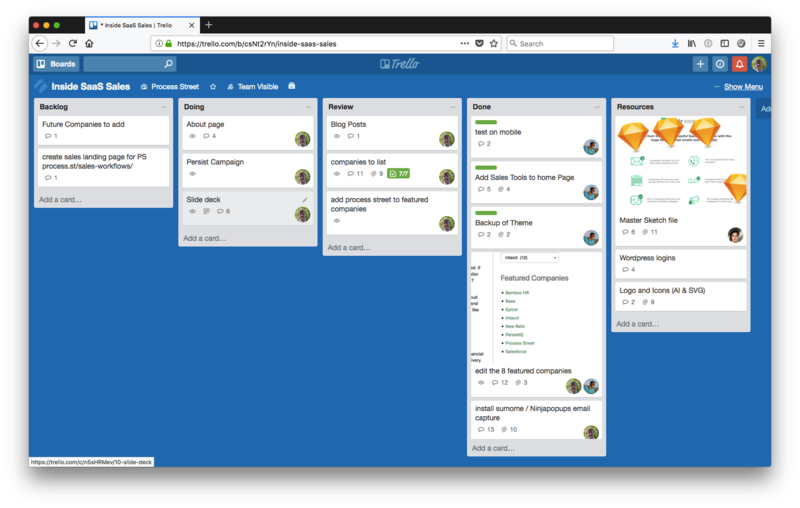 For a free kanban board with a ton of addons and functionality, Trello is the clear winner. Bigger businesses might start to find limitations with the free plan with regard to attachment size and permissions, but for small companies it’s perfect for free. 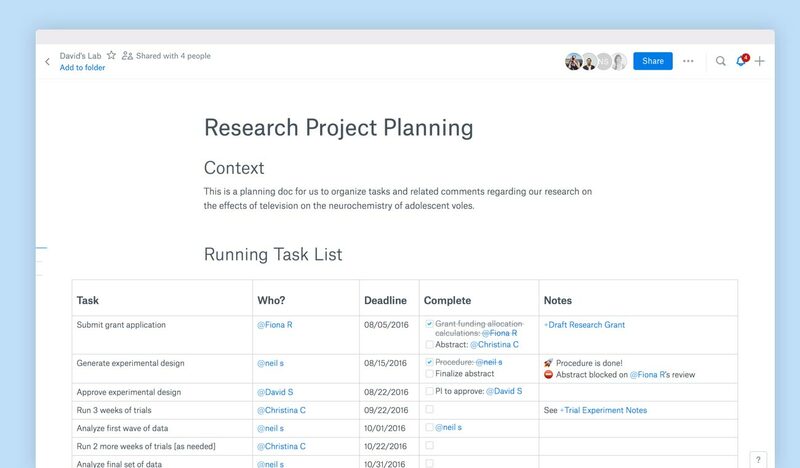 Collaborate around tasks with your team, with projects, comments, and assignments. MeisterTask is visually similar to Trello, but supports a native integration to MindMeister for fast and easy mind mapping. Its integrations with Dropbox, GitHub, Zendesk, Box, Bitbucket, and Google Drive allow you to map tasks to one another and keep you from entering data in the same place twice. The customizable dashboard is a big draw, as are its native integrations and linked tasks. However, the workflow automation features are only available on the premium plan. Avaza is a project management tool for client-focused teams. It puts emphasis on securely sharing project updates with clients, while giving employees full visibility over outstanding tasks and progress. Since it’s focused on client services businesses, it comes ready with invoicing, time-tracking, and expense management. Avaza is a hybrid between a project management tool and accounts software. This makes it perfect for creating links between client work, tasks, projects, and invoices, and reducing the number of separate apps needed to get a single job done. An oft-quoted quip — presumably from a famous copywriter — is “I could lose my business tomorrow but as long as I had my email list, I’d be fine”. An engaged email list is one of the most valuable assets a marketing team can have, but you will need a reliable tool to store the list, send messages, and track engagement. 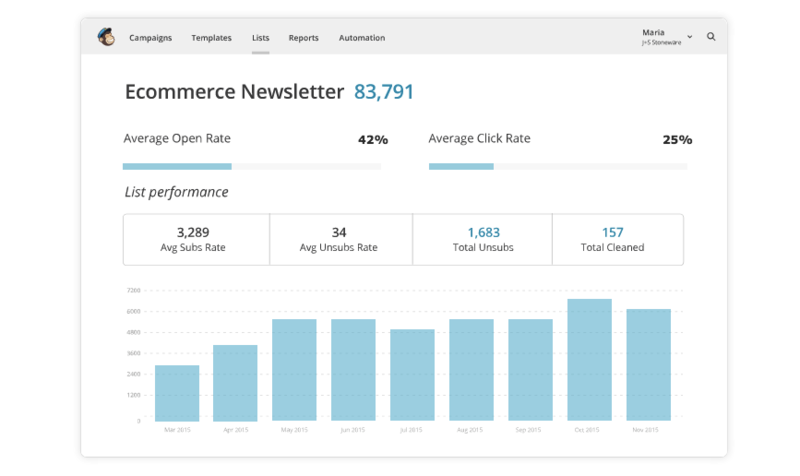 MailChimp is a fully-featured email marketing tool for everyone from solopreneurs and freelancers to SMBs and enterprises. It features free marketing automation, templates, reporting, and sign-up forms for 2,000 users and 12,000 monthly emails, for free. MailChimp offers automated email workflows for free, which is a rare feature amongst email providers. It is one of the most fully featured free platforms. Assemble links, tweets, images, and quotes into a simple newsletter with Revue, a drag-and-drop email marketing / content curation tool. 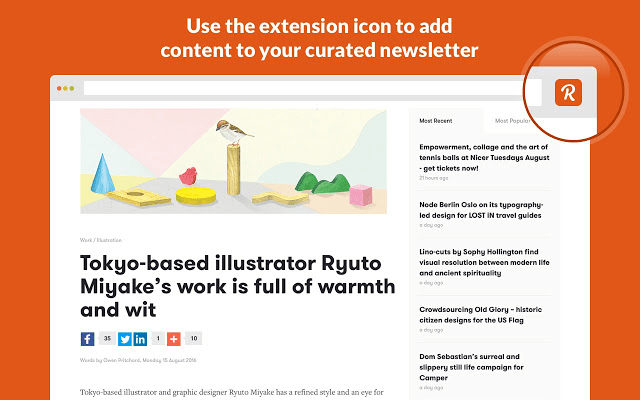 Add your site and social profiles as content sources, and then quickly make ‘best of’ roundup newsletters. 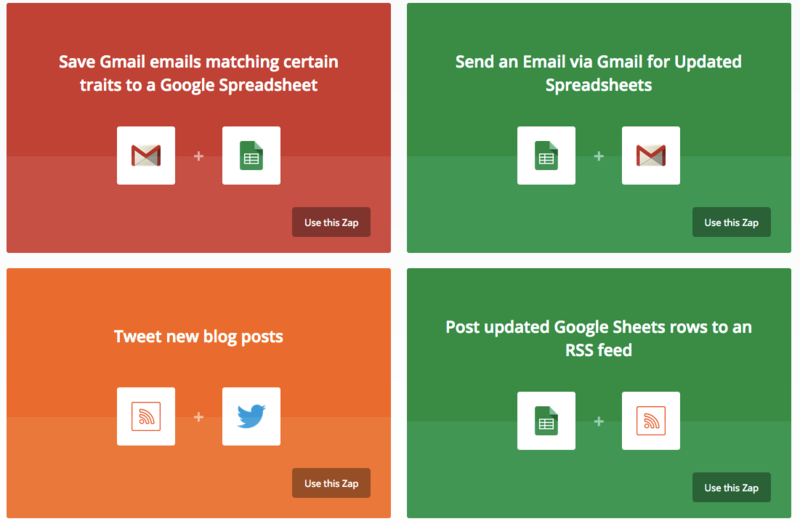 This is a simpler way to create emails, although it is more limiting. It’s perfect for startups or small businesses planning to expand their email marketing newsletters in the future. It can import subscribers from a plain text list, or capture up to 50 leads on your website with the free plan. Slack is the original email killer — a cloud-based team chat tool with exceptional search and document sharing features. Add policy documents to channels, create group chats, and keep important information to hand. 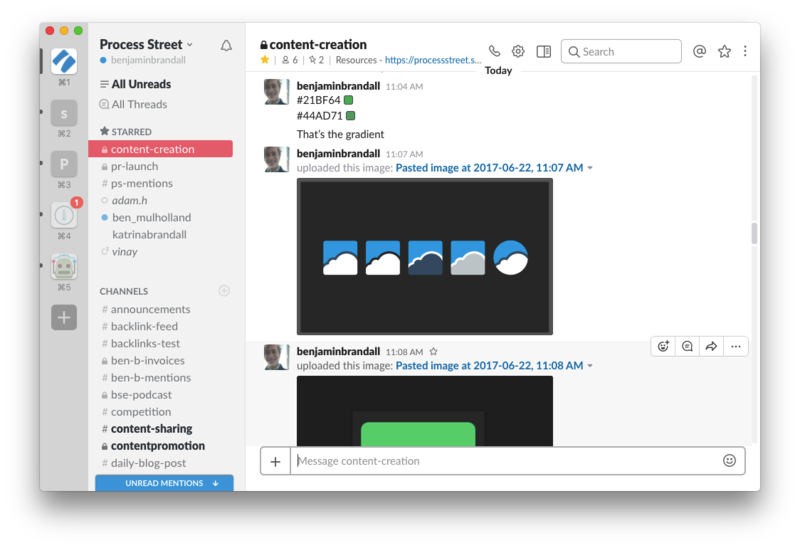 Slack works great for real-time conversations and as an asynchronous communication tool. Like email, but better. Slack was the first success of its sort, so it has left a big impact in the industry. Many, many Slack apps exist so it’s likely you can both add new features to Slack and integrate your favorite business tools natively. Ryver‘s core product — a Slack-style team app — is completely free. It features a powerful search, private groups, public channels, and integrations with 1,000+ apps through Zapier. As a Slack competitor, Ryver’s free version does everything Slack does without charging $8/user/month. However, it is a newer product so doesn’t have as many native apps, which can make integrations limiting. 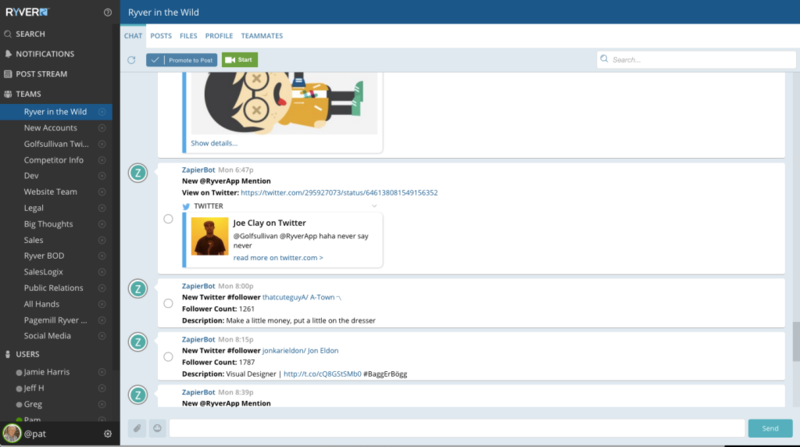 Samepage offers real-time document collaboration (which can occur on the same screen as a video chat), diagram creation, code snippet sharing, team chat, and more. Its free plan limitations effect chat history, team member count, and storage space. Samepage is the top-rated team collaboration tool on GetApp. 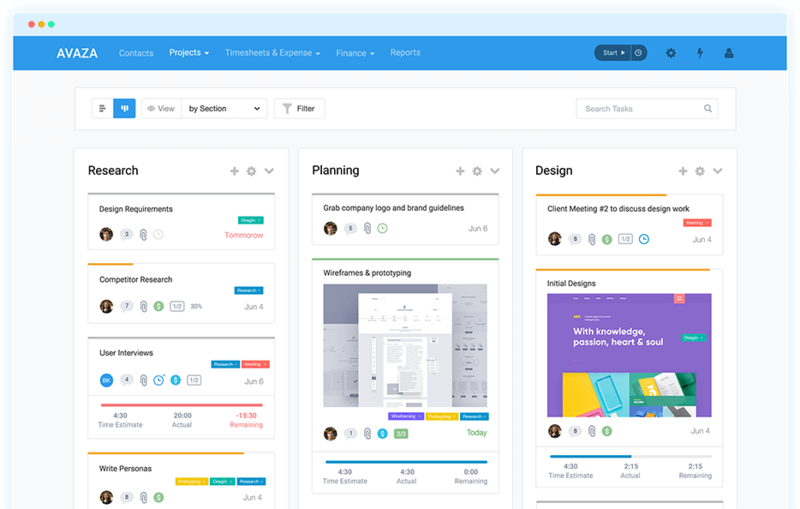 The main design of Samepage is aimed at teams that want to literally get their team on the same page, and stop them from switching between email, video conferencing, calendars, chat, and spreadsheets. Samepage does it all, improving team productivity. Banish those messy spreadsheets and towering stacks of invoices with these free accounting software options. There’s no need to manage reams of paper and total up receipts on a recurring basis, just hand the job over to software. Generate custom invoices and quotes, handle your tax calculations automatically, and track your income and expenses with ZipBooks‘ free plan. ZipBooks lets you accept payment over PayPal or credit card, making it equally suited for freelancers and larger businesses. ZipBooks is a beautifully simple app in an industry that has long been in need of the same focus on usability that comes with something like a CRM or email tool. For a fresh, simple feel and a product that scales with your business size, ZipBooks is the one to go for. Wave isn’t just an accounting tool. Its services cover payment processing and payroll as paid add-ons in case you need these systems to stay compliant in your state or country. 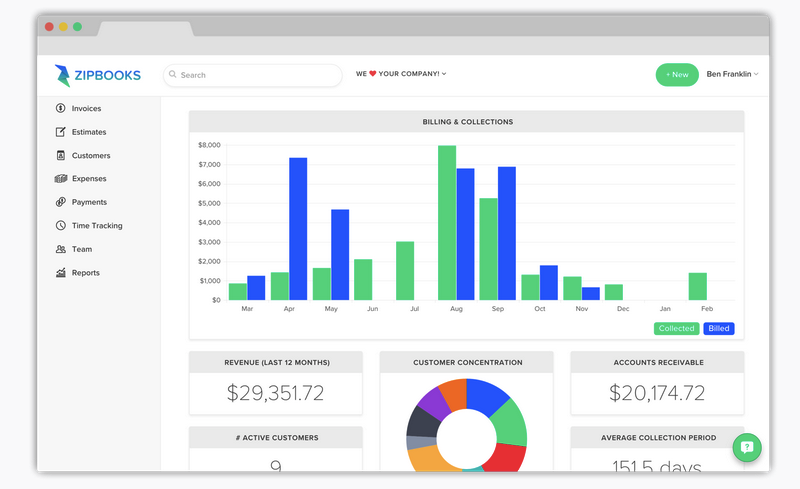 Wave offers reporting, income and expense tracking, tax calculations and invoicing — all for free. Unlike ZipBooks, Wave is completely free for accounting services. It makes its money with payroll and payment processing add-ons, which is great if you need that too. Pandle was created for UK-based small businesses, so unlike Zipbooks and Wave, it complies with UK-specific laws and regulations. It features invoicing, VAT management, banking, and comes equipped with a full suite of accounting tools. Businesses that need to obey UK tax laws should go with Pandle to ensure compliance. 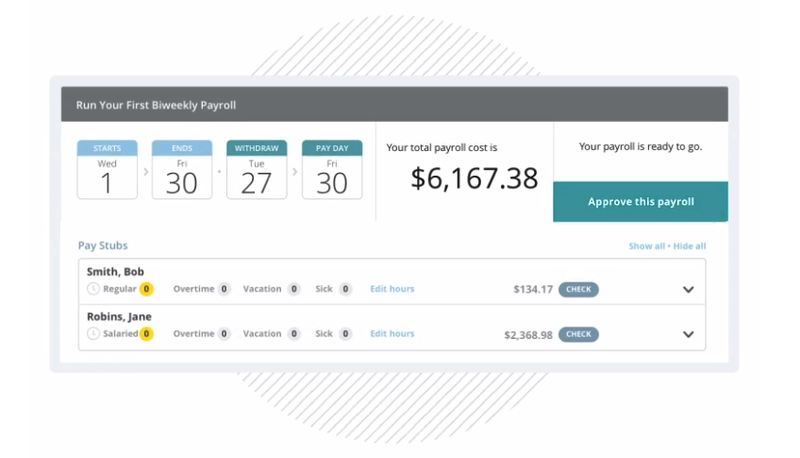 Manage your company payroll, benefits, and tax compliance with these two free tools. Since different countries have different compliance laws, I have included options for both the U.S. and the U.K.
For U.S-based businesses that pay under 25 employees, Payroll4Free is completely free of charge. It lets you pay employees and contractors, set up tax calculations and forms, track vacation time, and let you generate detailed reports. Small businesses in the U.S. with fewer than 25 employees get payroll managed for them, absolutely free, with this tool. This tool for U.K businesses from HMRC allows users to execute the majority of payroll tasks, including tax calculations and National Insurance. Its features include sending Employer Paymeny Summaries (EPS), Earlier Year Updates (EYU) and National Insurance Number checks. HMRC’s PAYE tools are specifically for U.K businesses, so in order to comply with national regulations this software (or a paid equivalent) will be necessary. Without cloud storage, businesses will be passing files around on USB sticks and emailing soon-to-be-out of date files manually. Cut out these slow, unreliable systems by having all of your business’ files available on cloud storage with managed permissions, real-time collaboration, and versioning. 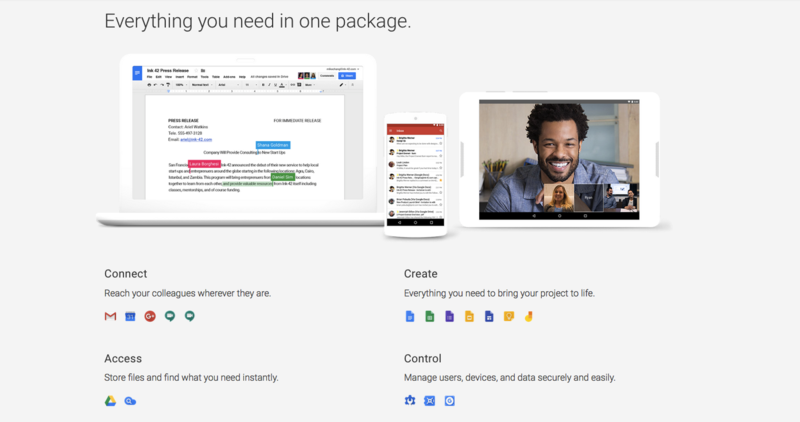 If you rely on G Suite as an alternative to Microsoft Office, Drive is the smart choice beacuse it seamlessly integrates with these other products. 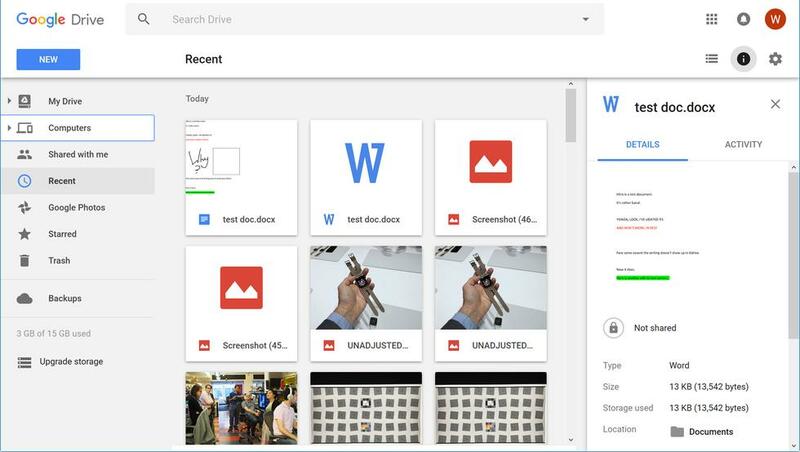 Everything both uploaded from an external source and created with G Suite is indexed and searchable from the same toolbar, making it easy to always find what you need. For free users, Google Drive offers 10GB of space. Google Drive offers 8GB more storage on the free plan than Dropbox, and integrates directly with Google Docs, Sheets, and Slides. On the free plan, Dropbox features shared links and folders, comments, document scanning, and the ability for users to access their files on any internet-connected device. Dropbox offers significantly (4x) less storage for free, but does integrate with Dropbox Paper free of charge. Store your collaborative documents in one, easy-to-use place. While pCloud isn’t as well-suited to business use on the free plan as the other two on this list, it does come with a sizable amount of storage for free. It features search, filter, shared folders, member permissions and automatic synchronization between your connected devices and cloud storage. There might not be a compelling reason to choose pCloud for general business use, but the 20GB of free storage is very appealing for personal or short-term use — and 2x that of Google Drive. Considering the fact that your CRM will be where your sales team spends most of its time, you want to be sure you get a good one. The three options below all offer a free plan, but each has its own limitations — especially with regard to the amount of users and leads. Consider carefully. This Zapier-integrated CRM offers sales, marketing automation, and support. 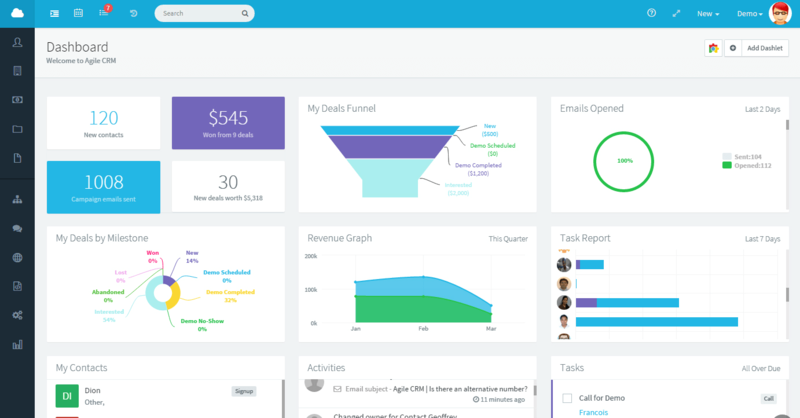 But, even without the full feature set on the free plan, it’s still a powerful sales CRM. 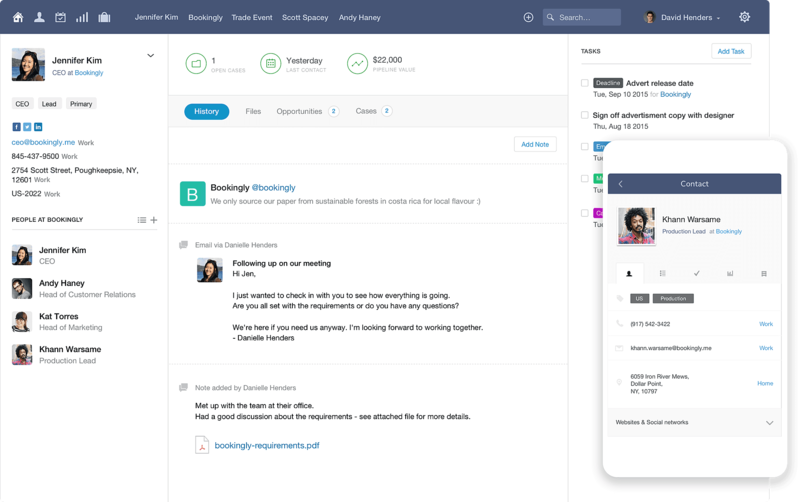 Agile has space for 50,000 contacts and companies, lead scoring, custom fields, appointment scheduling, tasks, and — while it’s everything you’d expect from a CRM, it’s free. Agile CRM offers a remarkable amount of features and flexibility on its free plan, and offers a wide range of integrations. Teams of any size can manage up to 1,000,000 leads with this free sales CRM from HubSpot. Automatically log sales activity, get a visual representation of your sales pipeline, and get deep insights into contact profiles. 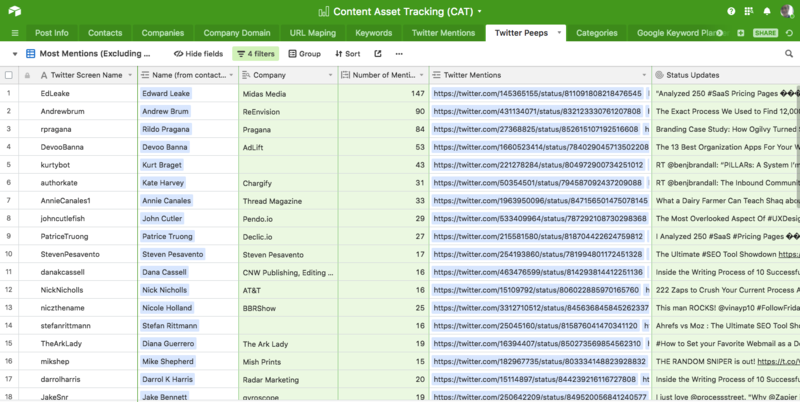 If you’re planning on expanding your business with the help of more HubSpot tools in the future, it’d be useful to start with their free CRM to easily migrate data between their other tools. Manage relationships with contacts, leads, customers, and vendors with Capsule. This online CRM pulls everything you know about a company or contact into one place, and gives easy access to everyone who needs it. Sales, marketing and customer success teams can easily see what their team has been doing, centralizing data and avoiding double-emailing or manual checks. For a small business’ needs, Capsule offers 2 users, 250 contacts, and unlimited opportunities and cases for free. This is great for small agencies with a high-touch outreach approach. Take a step up from Google Sheets or Excel by moving your data over to a real database. In the past, databases have been the reserve of the IT team, but with tools like Airtable and Fieldbook, non-technical teams can easily get the power of relational databases to create their own tools and systems (like we did for our content asset tracking, as explained here). There’s no clean way to pigeonhole Airtable. It is technically a database, but can be used for data visualization, project management, task management, calendars, and planning. All of these tasks work better in Airtable if you store your data (customers, email subscribers, financial metrics) there, because any tasks, projects or events can be linked to assets. Airtable is a fully-fledged relational database that is even easier to use than a spreadsheet. Its clear UI and blocks feature make it one of the most powerful business tools that can still retain simplicity and usability. This lightweight relational database tool combines the ease of a spreadsheet with powerful database features, like advanced filters, formulas, integrations, and custom views. With Fieldbook, you can “roll your own” solutions for CRM, inventory management, and scheduling alternatives. Spreadsheet veterans will feel at home with Fieldbook, which was designed specifically to make the transition easy. Whether or not you’re a software company, if you want to do website work in house or develop internal software, you’ll need the right tools. Here, we look at tools to write, version control, and deploy your code in the cloud. 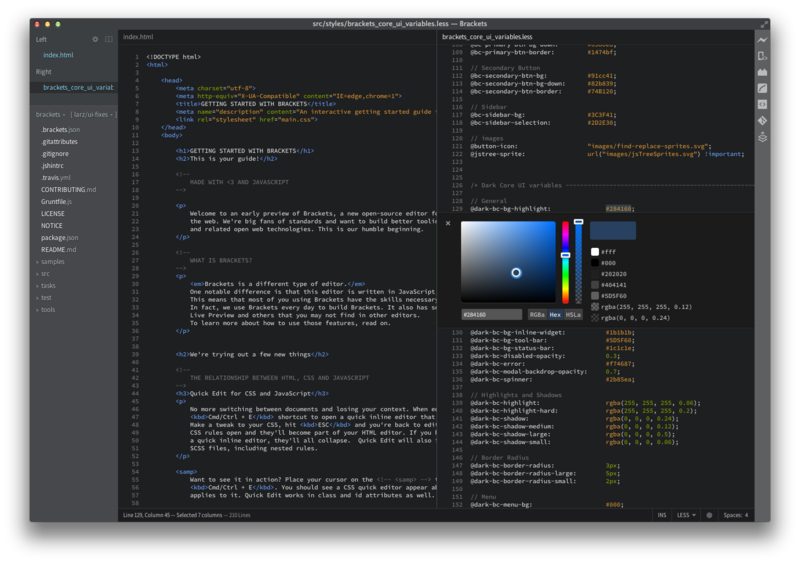 Brackets is a free web development tool from Adobe that lets you instantly preview and test in a browser window — without going through the hours of setup that might come with XAMPP or your own servers. Brackets is awesome for web developers, but limiting for other applications. It features inline CSS editing, live preview, autocomplete, and custom themes. Heroku provides fully managed runtime environments for your applications, so you can deploy your apps to the cloud and get them online without messing around with your own servers. Backed by the reliability of Salesforce’s Fort Knox-esque architecture, you can be sure your apps are running smoothly. There’s no faster way to get an app up and running in the cloud. 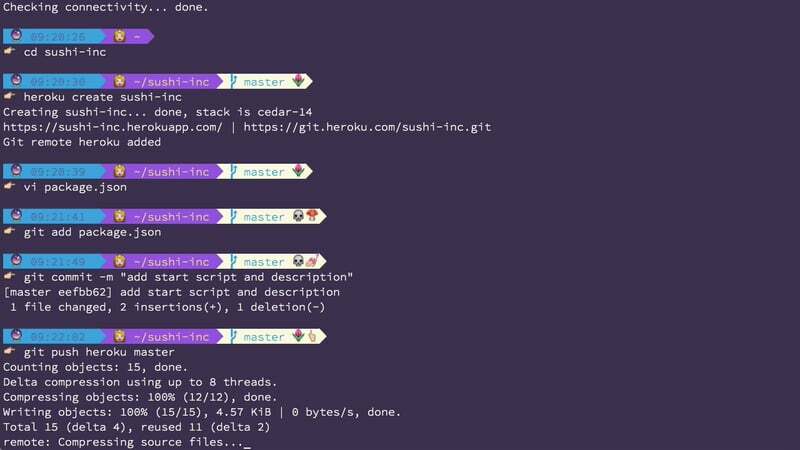 The Heroku toolbelt command line tool is as easy for developers to use as git. 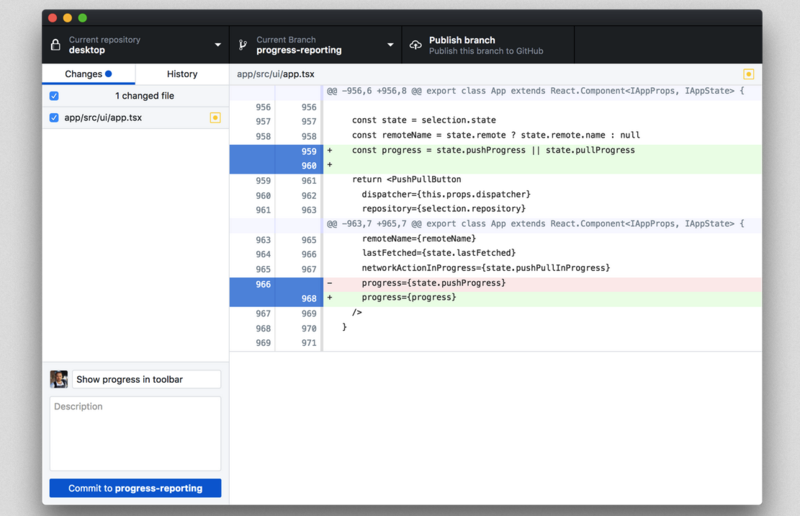 GitHub helps software developers collaborate over code without getting in each other’s way. Before code is run on the live server, it can be reviewed and version-controlled to make sure your software is always running with as few bugs as possible. GitHub’s major competitor is Bitbucket, an Atlassian product that has deep integrations with JIRA, Confluence, and Trello. For up to 10 users, Bitbucket is cheaper. When you hit 10+, it’s more expensive but may work out as cheaper for large enterprises. Also, if your company is looking to spark interest in the open source community, there’s no bigger audience than GitHub’s. Which free tools do you use in your business? Have you found any more worthy replacements for the big, expensive alternatives? Let me know in the comments. • ClickUp (https://clickup.com/) – project management app; great for assigning projects, keeping statuses up to date. Thanks so much for the suggestions, Greg! Glad to get the opinion of an experienced free software user. We’ll be sure to check these out. Great Post Benjamin. But is there a free plan for G Suite? With an email account? Without? A personal Google account is free, but that’s not the same as G Suite. Strike 1 for the research team. Hey Gandalf! I was more using G Suite as an umbrella term for the Docs / Drive / Sheets / Slides products, I purposely didn’t talk about account control or business emails etc. Hi Peter, sorry for the confusion and thanks for commenting. By G Suite I meant the collection of office products they provide for free, like Docs and Sheets. Cheers! All good Benjamin. Like I say, this is a very handy post. I’m so used to paying my little bill for Google Suite with email that I’d forgotten you could still access the productivity apps for free. Useful. Benjamin this is a great post and breakdown of some awesome resources! I recently came across your post and noticed that you have shared a number of free apps. We just so happen to have a free POS software which you and your readers may find useful: https://ehopper.com/free-pos/. I hope you like what you see, and if it’s not too much of a bother, could you please consider including us in a post? We happen to have a free SEO tool (focusing on optimizing your keywords) that may be of interest for small business owners, it’s called Cocolyze (https://cocolyze.com). Be interesting to see if you’ve heard of it before! Zapier, Quip, Slack and Zipbooks are my favorite tools. Great list, some really good tools. Thank you for sharing your knowledge on this subject.